A slightly sweet and innocent scent that includes a blend of peonies, hyacinth, day lilies, apple blossoms, soft bergamot. COMMENTS: The reviews were great and I was really excited about this fragrance. I really wanted to love it and ordered it for spring and Mother's Day. There's just something in it that I don't care for...maybe the blend of floral tones? I'm not sure but it's not my favorite. COMMENTS: I used this in my Valentine’s Day line and it was a huge hit! Soaped beautifully with plenty of time to get some beautiful swirls. COMMENTS: I didn't know what to expect when i ordered this one, but i trusted the reviews and it didn't dissapoint. The scent is a beautiful soft floral that I love. COMMENTS: This fragrance was nice but a little too soft for me. "Comforting & beautiful aroma! " COMMENTS: This is the perfect name for this FO as it's beautifully feminine, soothing & comforting! Purchased this FO to make a special batch of CP for my mother for the holidays, and she absolutely loves it! Her exact words were, "Wow! It smells so REAL!!". And it's true! The floral notes smell so authentic & botanical... Not fake or overly perfumey. I'm usually leery of floral blends in that they can be headache-inducing sometimes, but that isn't the case with this FO at all! It's a perfectly blended, well-rounded aroma that's gentle & lovely! In CP, it behaved wonderfully, with no problems at all! I enjoyed this FO so much (as did my mother), that this one-time purchase has turned into something I'd like to continue to keep on hand. I think it'll be a big hit come spring time, and of course, Mother's Day! Definitely recommend!! • Aptly named, smells wonderful! • Perfectly blended. All notes present. COMMENTS: Makes a great scent for Mother's Day soaps! COMMENTS: Beautiful scent! Very pleased with this blend of pretty scents. COMMENTS: This fragrance has a hint of exotic rose, yet a softness to it that I love. It is absolutely wonderful as a bath bomb, as it floods the room with this sweet fragrance. Will definitely get more! You must try it! COMMENTS: ooooh, LOVE this one!!! Will buy again and again!!! COMMENTS: so this does remind me of a mommy type smell.. it is floral.. it is very strong & sometimes it has almost given me a head ache.. my mom really likes the smell, but it has been a more difficult one to get rid of in my soaps.. 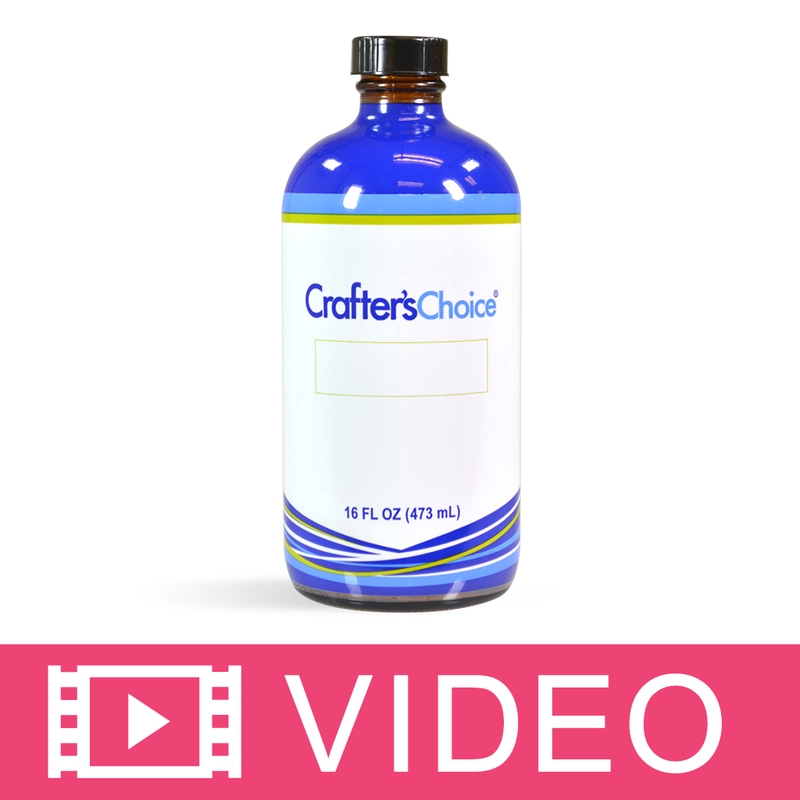 I like the smell, but it's one of those hit or miss smells with people, especially if they don't like florals..
"Crafters Choice™ A Mother's Love Fragrance Oil 252"
COMMENTS: Crafters Choice™ A Mother's Love Fragrance Oil 252 love this fragrance for new moms. COMMENTS: I was a little bummed OOB when it first came in the mail because it could not smell a thing! It was a very light scent if anything....I actually wondered if there was any scent in the bottle, just oil! ha! but I ended up using it. It performed great and now that it is curing it smells divine and fairly strong! Very lovely scent! COMMENTS: I used this fragrance oil in a soap I made for my baby shower. It was such a big hit and people have asked me to make more. I adore this scent. It's a perfect blend and very true to description. A must try! COMMENTS: This is a wonderful light, fresh scent....not too floral...not too fruity...just right. Works perfect in CP Soap. COMMENTS: I first bought this scent as a Mother's Day special kind of thing but several customers keep wanting it so I keep it in stock in my soaps and bath bombs. I'm not usually a fan of "perfumey" scents but this one is lovely and behaves beautifully in my products. COMMENTS: Holds decently well. I used a full 2 oz bottle and its a light/subtle scent in CP soaps. COMMENTS: This scent is beautiful. 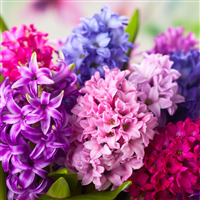 It is a wonderful warm and soft scent. COMMENTS: Out of the bottle this is such a beautiful soft fragrance oil. In cold process soap it was great to work with (no accelaration or discoloring)but it loses the top (fruit) notes to become a straight floral scent. I will definitely purchase again but keep it for lotions, body butter, scrubs, and candles. COMMENTS: Very light & pretty! COMMENTS: Perfect scent for all my projects...great for Mother's Day too! COMMENTS: This fragrance is so beautiful! And the name fits it perfectly. One of my clients has ordered a bulk qty of candles with this aroma! COMMENTS: This is a wonderful soft feminine oil, so elegantly named. A must have for your line. COMMENTS: I put off buying this fragrance last year for Mother's Day and so sorry I didn't get it then. This fragrance is so beautiful and will be using it in my mother's day gift baskets this year for soap, lotion and bath fizzies. I will see how it sells, I have a feeling it will become permanent in my line. COMMENTS: Not something I would personally buy, but it smells great and I sell the heck out of it :) I make a CP soap with a heart embed and it flies off the shelf. Great fragrance!! Doesn't discolor or accelerate so you can take your time if you are doing something fancy. COMMENTS: This is a very pretty scent and it performed perfectly well in CP soap. No ricing, acceleration, or discoloring. • Nothing. I like it just like it is. COMMENTS: This fragrance has a nice scent and behaved well in cold process soap and has a nice throw in soy candles. "Great Fragrance! PERFECT for fancy bars! " COMMENTS: I just love this fragrance! It is my go to when I need to make fancy bars with lots of design. I have spent an hour designing fancy bars with one batch of soap using this soap. No acceleration, No discoloration, No ricing! One of the very best I have worked with in goat's milk soap! (Butterfly Orchid being the only other fragrance I have found so easy to work with!) It is a very soft fragrance that I have used for baby soaps. Very popular with woman too. COMMENTS: This is one of my top selling scents for MP soap. Men and women both have bought my soaped scented with this FO. COMMENTS: A soft fragrance suitable for children's products. COMMENTS: Very pretty, powdery smell. COMMENTS: This behaved so well in CP soap. I tried a small amount so I could pipe embeds for my soap. I honestly expected it to accelerate, but was pleasantly surprised when it didn't. It actually took about 45 minutes to set firm enough for me to pipe it, and let me work with it for over an hour before it started getting a little tougher to get through the piping tips. The smell is amazing as well! • Nothing. It's an amazing scent! 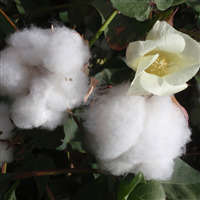 "Review of A Mother's Love FO 252"
COMMENTS: This is a very pretty, soft floral! I sell a LOT of soaps scented with this FO! It is easy to work with, does not discolor or cause soap seizure. "A nice soft "soap" scent"
COMMENTS: I love the smell of this, but for some reason it seized terribly on me in CP. No one else has reported this, so I am going to give it another try because the scent really is lovely. I'm not a fan of florals but this one is not bad. COMMENTS: This scent was such a wonderful surprise and happy discovery. It is very delicate, yet clear and present. It's a lovely scent that is not too perfumy, nor too floral...it's just right. I used it in cold process soap and it behaved beautifullly. I am so happy I found it. COMMENTS: This is a nice blend of fruit and floral. I like the balance of orange, peach, cherry blossom and jasmine in this scent. COMMENTS: I'm normally not a huge fan if florals but I order and make them anyway because I have customers who love them. This scent, however, is lovely even to me. It's not overpowering like a lot of florals can be - rather it's light but still noticeable, and has a wonderful powdery note. The scent definitely fits it's title. Experienced slight acceleration but is was still able to do a nice swirl. No ricing or discoloration but I did add TD for the white parts of my swirl. COMMENTS: Nice scent. No A or D or ricing. Holds up well in CP Soap. COMMENTS: I needed a scent for Mother's Day but I was nervous about ordering this one since I don't like floral scents BUT I was pleasantly surprised! It's a beautiful blend. Would make a great perfume. I'm using it in my goats milk soap, bath bombs and body sprays. COMMENTS: I loved this soft scent. This smells so good in my soaps. It's soft but yet strong enough you can really smell the hints of the different things in it. This did not accelerate at all nor did I have any ricing. COMMENTS: I use it in my own personal hand cream and love it! I will be soaping with it and introducing it to my mother's day line in May. 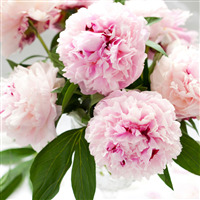 "A Mother's Love Fragrance Oil (252) "
COMMENTS: This fragrance holds true to it's name. Reminds me of my Mom. Has a very lovely fragrance, and isn't too sweet smelling. COMMENTS: Used in CP soap and customers love it. Doesn't seize up at all. It is a soft powdery fragrance. COMMENTS: I used this in m&p and it's a beautiful light scent for the people who don't like scents strong. I'll be trying this in cp next week. COMMENTS: I love this oil, it is my favorite go to scent. Soaps, creams and salts. I hope this is always available! "Hello, I would like to know if all your fragrances can be used in candles and in unifiers. I leave this question here because I do not know where else to leave it I'm thinking about making candles and diffuser. Fragrances are good for all this, Could you tell me how much is the recomendación? 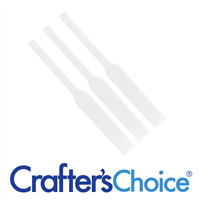 Thank"
Staff Answer You can use Crafter's Choice fragrance oils in candles. You would need to check the fragrance load for your particular wax to know how much to add. Each wax is different. You can also use these fragrances in diffusers by adding a few drops to water in the diffuser. "approx. how much fragrances is needed per pound in a m&p soap"
Staff Answer We normally recommend adding 3% fragrance to MP soap, if the IFRA guidelines allow it. For a 16 oz. batch of soap, 3% would equal 0.50 oz. or 1 Tablespoon of fragrance. "Are your fragrance oils phlalate free?" Staff Answer Yes, we are proud to say that all of our fragrances are Phthalate free! "I just had a customer ask if fragrance had alcohol in it...my product formulations don't but I wasn't sure about fragrance. They can't use it if so, due to religion. I never had that question so I didn't know the answer but I told them I'd research. Can u let me know..."
Staff Answer Hi Lekesha, our fragrance oils do not have alcohol in them. "quick question: about how many drops come in a 2 fl. oz. bottle? " 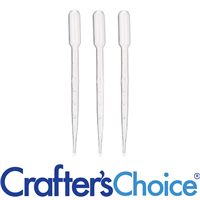 Staff Answer Drops are not a regulated measurement because the size of the drop will vary depending on the size of your dropper. Our fragrances are sold by the fluid ounce. On my 3ml pipette, 1ml is 20 drops. 2oz = 60ml. So I would guesstimate 2oz is close to 1200 drops. "Can I keep the name of this fragrance oil for my scrub product? Thanks." Staff Answer That depends on whether or not the name has a trademark and what the trademark is for. Trademarks are often for finished products only. Since fragrance oils are not considered finished products they are not bound by the same standards as your finished products. When you use our fragrance oils in a product such as soap or lotion, then it does fall under the trademark protection. You will need to rename your products using designer and other fragrance oils protected by a trademark. "Does the label "Clear Fragrance Oil" mean that the fragrance oil will not discolor the soap?" That's correct. These fragrance oils are water clear and don't get in the way of clear creations, and let you color your products without fighting an already existing color from fragrance oil. "Does "clear" fragrance oil mean? Aren't they all clear? " Staff Answer Some fragrances can be light yellow, light orange and even a dark yellow. The color depends on the ingredients used to make the blend. Clear fragrance oils are clear. Thanks, Debbie. That helps clarify. I was thinking it meant clear vs cloudy, not color vs colorless. "Are the Fragrance Oils gluten free?" Staff Answer All of the WSP fragrance oils are gluten free.